Social media advertising takes the power from traditional marketing channels and puts it in your very hands. It brings the whole world to your digital device and lets you decide which region to target. By receiving comprehensive data on your audience, you get to know exactly who you are selling to. It allows you to deliver your message to a specified target group, ensuring a higher return on investment. 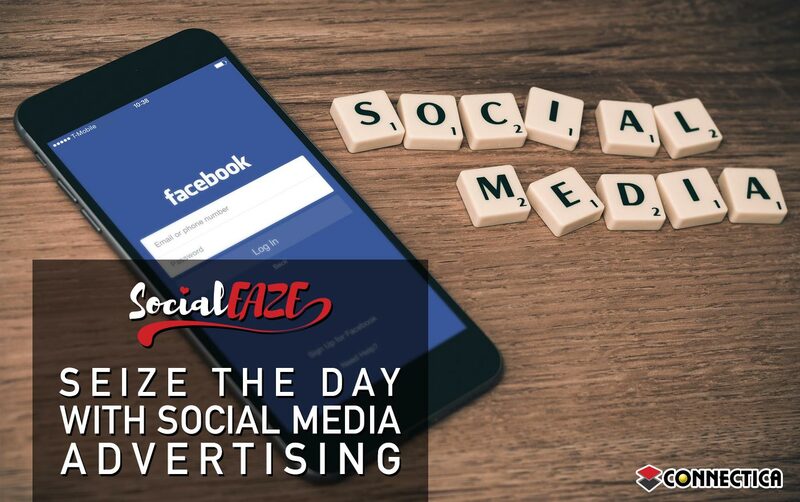 The more you advertise on social media,the better you will understand your market and campaign effectiveness. Once you get started, the possibilities are endless. Governments and major corporations are starting to take more advantage of these influential platforms. So, what are you waiting for? They are perfect for boosting brand awareness, sales, website traffic, and customer engagement. You can use them to generate leads and increase conversions. Social media advertisements are a wonderful tool that all enterprises should grab with both hands. Read these 6 compelling reasons to see why your business should take full advantage of this powerful marketing tool. According to a recent survey, 71% of small businesses in the US are now active on social media. The platforms are becoming increasingly saturated, and any opportunity to stand out should be fully utilized. It is no longer enough to share interesting content on a regular basis. Hundreds of Tweets and posts flow through user feeds daily, with many going unnoticed. Sponsored posts take priority over standard content. On Facebook, for example, non-sponsored posts might not get delivered at all to some page followers. As it appears, social media users don’t regularly visit business pages. They often only respond to what they see in their news feeds, meaning that most of your standard posts go unseen. Keep customers talking about your brand, by investing in paid social media advertising from time to time. With paid adverts, there is always an opportunity to expand your reach.Take advantage of the global population that logs on every day,and deliver your brand to a new set of eyes anywhere in the world. Traditional advertising lacks the massive interaction and data collection opportunities presented by social media. Digital platforms keep track of user profiles, social activities, tastes and habits. Their targeting is therefore much more refined. It allows you to identify market groups according to the time they spend online, websites they frequent, products they purchase and amount of time they spend on your own websites. Because of this, social media advertising allows you to speak to a defined audience that connects strongly with your corporate message. Targeting a large, unspecified audience can be an unnecessary waste of money. Engagement and sales are not guaranteed. You are merely casting the wide net onto unknown waters, with the hope of catching something. On the other hand, when you put your message out to the right audience, you increase the odds of it reaching people who are interested in it. The benefit of this will be an increase in sales and generated leads. By producing such results, effective social media advertising saves money, while bringing in more business. The massive volumes of data collected by digital platforms can assist at developing highly specified target user profiles. Use this information to speak directly to your distinct clientele. By tailoring your adverts, you speak to the unique interests of these individuals, and consequently evoke more passion in them.People who connect with your messages are more likely to share them with their own networks, and remain with you for years to come. Attract better quality followers with the assistance of highly refined targeting. It ensures that you have users who regularly interact with your posts, which tells social platforms that you share interesting and relevant information. Since their aim is to keep people online for as long as possible, they will reward you for aligning with their needs. For the same reason, business accounts with large disengaged audiences receive low priority. Major search engines do consider your social media influence when determining where to rank you. They respond positively to websites that attract a lot of traffic. Relevance of content is also important to search engines. They want to provide their users with the most helpful information available. Having frequent website traffic and a strong social media presence suggests that you are a reliable source. For best results, focus your advertisements on audiences that are most likely to result in conversions. Have a call-to-action that directs users to your website, and make certain that the landing page is attractive and that it delivers what the advert promises. Social media advertising gives you incredible control over your marketing campaigns. You determine the budget according to what you can afford, and the reach according the specific audience you wish to speak to. No matter how small your business, there is a social media campaign that can take it further than where it currently is. Do not allow your company to fall behind – give us a call today to get your social media strategy going.